Victoria BC the second highest restaurants per capita in North America. Second only to San Francisco. It seems that many of these restaurants specialize in tacos. Our favourites are tacofino and taco justice. Today we are visiting Taco Stand Al Pastor in Market Square. 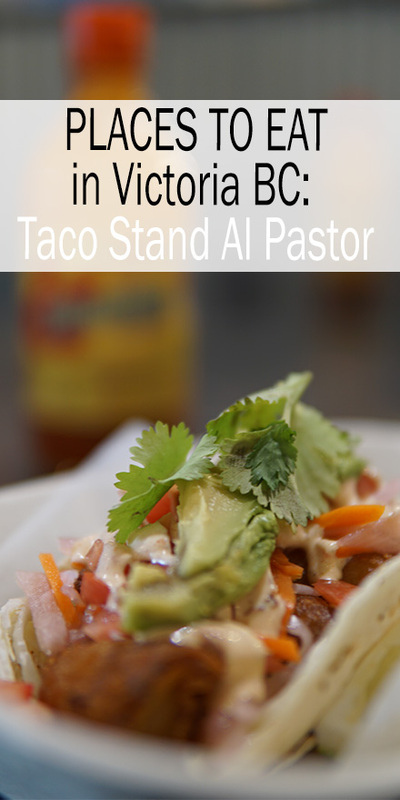 I have been super excited to try Taco Stand Al Pastor for 3 reasons. 1. Their vegetarian taco is a, wait for it: Grilled Cactus tacos. If that isn’t’t exotic. I’m not sure what is! 2. They have taco bowls. Anything in a bowl just seems more trendy and fun! Not to mention it is less messy. 3. Their pork is cooked shawarma style on a rotisseries with a pineapple on top. I love pineapple. I love sweet and savory. So this should be a good mix. 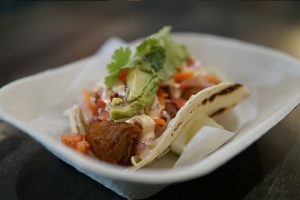 For the budget conscious, Taco Stand Al Pastor offers Taco Tuesdays with 3 tacos for the price of 2.